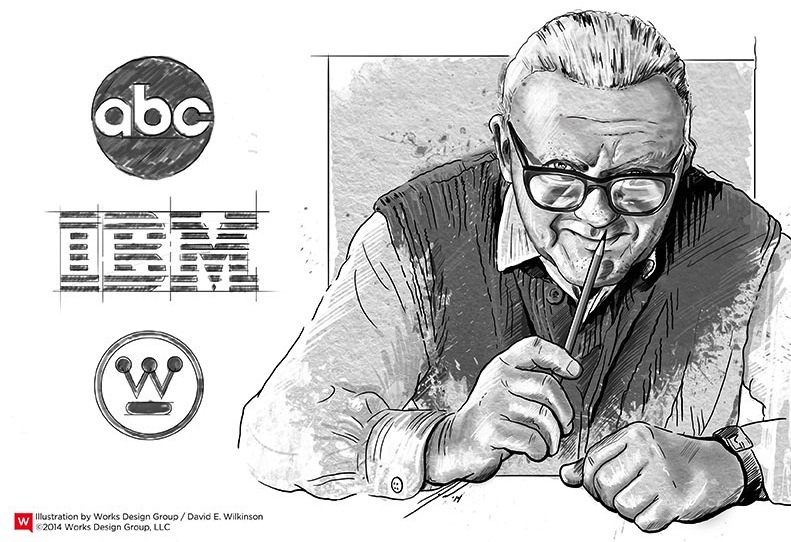 Paul Rand, born Peretz Rosenbaum, was an esteemed American art director and graphic designer who is responsible for creating some of the most recognizable and memorable logos of all time. Some of his most notable logos include those for IBM, UPS, Enron, Morningstar, Inc., Westinghouse, ABC, and Steve Jobs’ NeXT. He was an influential expert in his field who preferred to complete most of the work on his own. Despite having a large staff to depend on, he was considered a recluse in his creative process. Rand had an impressive educational career to boast of, studying at Pratt Institute, Parsons School of Design, and the Art Students’ League. He later taught at Pratt, Yale University, and Cooper Union. He also received a number of honorary degrees from respected universities, including Yale and Parsons. Rand published “Thoughts on Design” in 1947, which is still used to educate students and professionals alike. It helped influence the world of graphic design that we know today. He had a number of important works and focused on trademark design and the design of a memorable logo. He also helped shape the way for strong brand image and Swiss Style graphic design. Rand had indicated that some notables inspired him in life and in his design work. His inspirations included Roger Fry, John Dewey, and Paul Klee, to name a few. In his professional career, Rand was a logo designer extraordinaire, having created such iconic logos as IBM, which he continued redesigning from the 1950s until the 1990s. He created two variations of the striped logo, one with eight stripes and one with 13 stripes, to provide the right logo for different circumstances. Throughout the years, the basic design has remained the same, making it one of the most recognized logos worldwide. Rand’s work was designed to create a memorable experience and a lasting impression. His work helped set new standards for graphic design and logo design. To create a successful logo, Rand considered the basics, including what logos are, what they are not, and what they are capable of being. This helped him create the right level of simplicity to suit each client’s needs. Rand’s strategy was to focus on freeform layouts that are less structured and utilize collage, photography, artwork, and typography for an engaging result that users wanted to interact with. He took advantage of contrast and shapes to create unconventional ads and logos that were different from the rest.